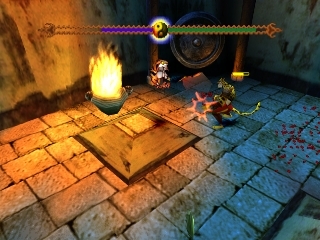 Menus and gameplay are in English. 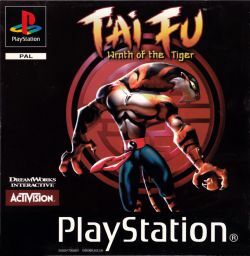 T’ai Fu - Wrath of the Tiger is a PlayStation game released in 1999. 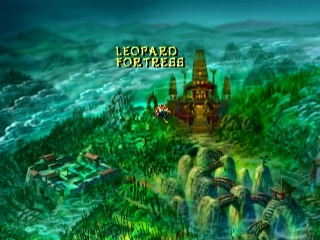 The game is set in an oriental landscape populated by clans of animals, such as Leopards and Snakes. 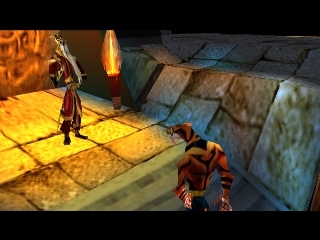 The game's protagonist, T'ai Fu, is the last remaining survivor of the Tiger clan and must journey to defeat the Dragon Master and avenge his kind. 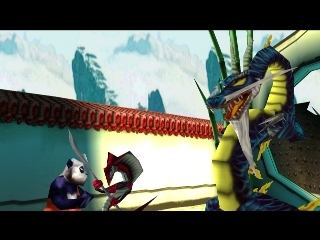 On the way, he learns about his clouded past and masters several Kung Fu styles, one from each clan master he defeats. 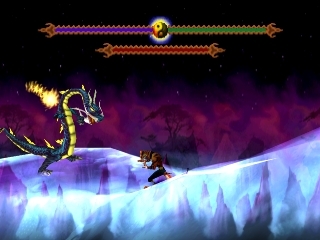 T'ai Fu looks to avenge the destruction of his village by the dragon clan. 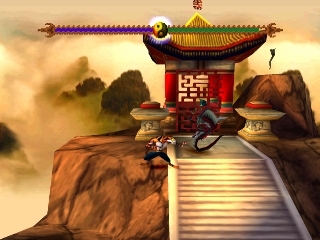 He travels through ancient China, seeking out masters in the various animal styles of Shaolin Kung Fu to teach him the skills he needs to defeat the dragon clan. 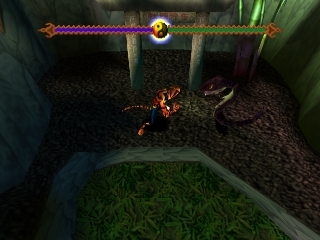 In addition to the various animal styles that T'ai learns, the masters will teach him to focus his 'chi' or inner energy to produce some energy blasts that no enemy will be able to survive. 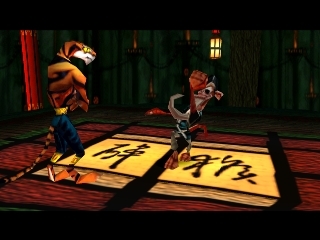 Master the martial arts of anthropomorphic animals in T'ai Fu: Wrath of the Tiger. 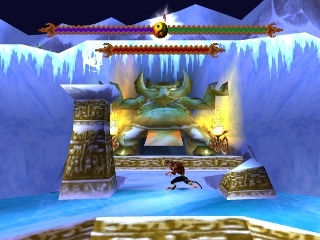 Featuring 3D graphics viewed from a side-scrolling perspective, the game has you using an assortment of paw-to-paw combat moves against members of rival animal clans. 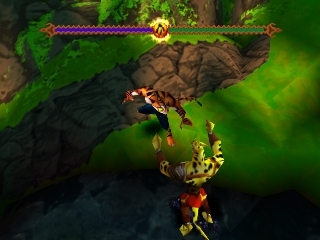 The titular tiger will acquire new fighting techniques by defeating the bosses of each clan in his bid to rid the world of the dreaded Dragon Master. 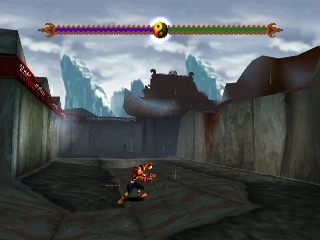 In addition to his melee attacks, T'ai Fu can channel "chi" to perform special moves and find power-ups to temporarily make him invisible or invulnerable to enemies. 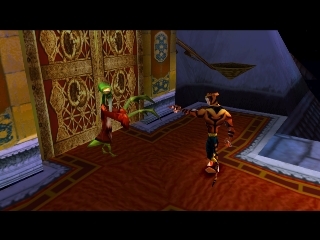 Collect jade fragments to earn extra lives while battling through the game's 24 levels. 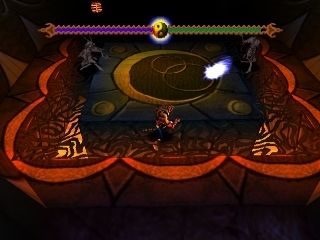 The levels are laid out in a linear pattern, but can be returned to at any time on the map menu. The goal at each level is to get to the end where a gold Chinese coin is. 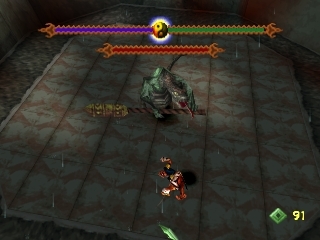 The official soundtrack was composed by Michael Giacchino. 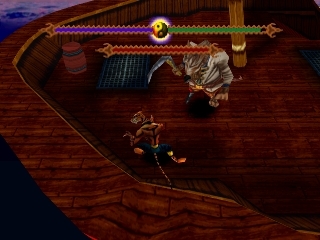 Sink your claws into Kung Fu action. 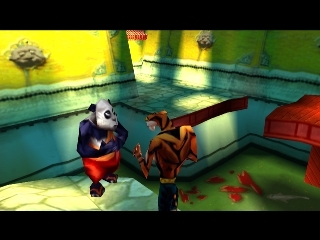 Authentic Kung-Fu Action. 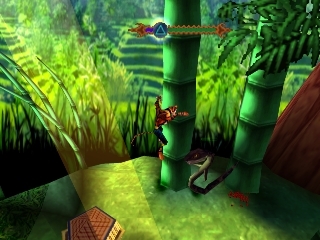 Send them flyin' with moves like the Leopard Pounce and the Monkey Roll. 20 Beautifully Animated Levels. 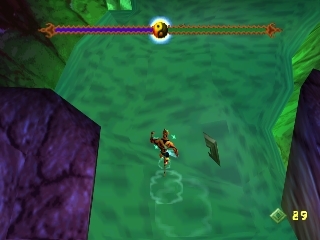 Strut through sweeping rivers and bamboo forests on your quest to defeat the Dragon Master. Legendary Animal Clans. 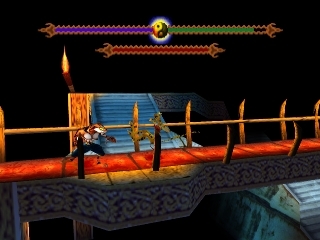 Take on foes inspired by Chinese legend - from muscle-bound snakes to ferocious wild boar. Over 75 Character Moves. 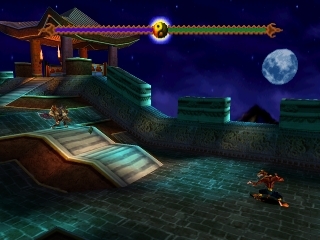 Unleash your Tiger attacks and Chi Power. Then finish them off with thrashing claws and razor-sharp teeth. Ancient China, Fantasy & Martial Arts themes. Dim. - 1453 x 1488 pix. Dim. - 1937 x 1453 pix. Dim. - 1443 x 1491 pix. Dim. - 1772 x 1394 pix. Dim. - 1440 x 1908 pix. Dim. - 1440 x 1891 pix. Dim. - 1417 x 1417 pix. Thanks to PROVATO for providing the english hires covers.